Our Self Catering apartments are located in an enviable position right on the sea front on the south side of town, our property enjoys spectacular views of Bridlington South beach, the harbour and right around the bay towards Flamborough Head. With all the amenities of the beach directly across the road, the Spa Royal Hall adjacent and the harbour and town centre within a few minutes stroll, these properties offer the best of both worlds. 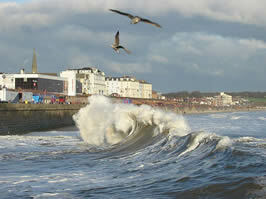 Bridlington is a popular sea side resort with beaches considered to be amongst the best in the country. 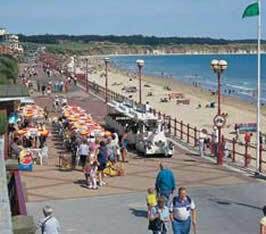 As well as the attractions in the town, Bridlington is situated perfectly to explore the rest of Yorkshire. Places such as Scarborough, the Yorkshire Wolds and North Yorkshire Moors, Whitby and York are all a short drive away from the town. Click to open Multimap.com and view a map of where the apartments are situated. 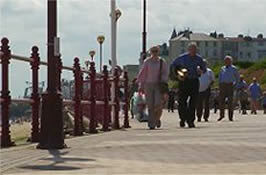 You can also use the directions tool to plan your route to Bridlington.